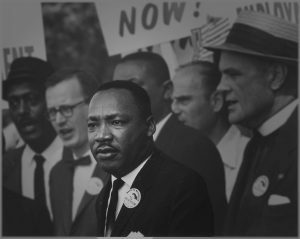 The University of Alabama is gearing up to celebrate Martin Luther King Jr. Day like never before. The University of Alabama Dr. Martin Luther King, Jr. Commemorative Committee, a universitywide committee of faculty, staff and students was established this past fall with the goal of creating more learning opportunities for faculty, staff and students about the life and legacy of Dr. Martin Luther King, Jr. and an increased emphasis on giving back. The committee chose “The Fierce Urgency of Now: A Day On – Not a Day Off!” as their theme, focusing on the importance of seeing the actual holiday, Jan. 21, as a time of service to give back to the community. 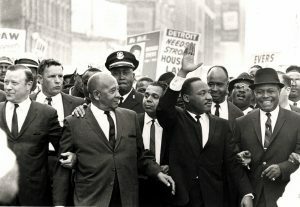 To volunteer for the initiative, sign up at MLK Service Day Jan. 21 here. Those who participate in the month’s activities are encouraged to use #UAMLK2019 any time they post to social media. In addition to the focus on service on the actual day, the committee has coordinated 12 additional learning and engagement opportunities sponsored by various colleges and offices at the university. The featured events of the celebration include the film screening of “Hope & Fury: MLK, the Movement and the Media,” 6:30 p.m. Monday, Jan. 14, which explores King’s influence in the mass media. The screening will be followed by a discussion with the documentary’s producers, writers and directors. Also, “Tuscaloosa Civil Rights Task Force Update: Patterns of Hope and Inclusion” will share information on phase one of the Tuscaloosa Civil Rights History Trail and includes a panel discussion. Registration is required for this event. The month concludes Jan. 31 with Meet You at the Table, an evening of celebration, reflection and sharing through word, dance and song on the life and legacy of Dr. King. Special guest will be the Rev. Thomas Linton, a leader in the Tuscaloosa Civil Rights Movement. Refreshments provided. The event begins at 6 p.m. Registration is required at diversity@ua.edu. “Many times, particularly for students today, there’s a belief the civil rights movement happened a long, long time ago, but it is very much a part of contemporary history and it provides an important context for where we are today,” said Taylor. To see the full list of events, go here.